Once you've learned to add photos, embed video and audio files, create hyper-links and anchor text etc, inevitably you'll want to know how you can add a .pdf file to your Blog post. An Adobe Acrobat .PDF (Portable Document Format) file is a document that typically cannot be edited and is usually created from an original document using the Adobe Acrobat software or similar application. .PDF files can be viewed by downloading the FREE Adobe Acrobat Reader. Adding a .PDF file to your Blog post can be done one of two ways. You can upload the .PDF file to a host server on the Internet and simply create a link to it using the location URL or web address. IE: http://www.DomainName/DocumentName.pdf The second way is to use a program or tool that creates an HTML embed code which you can add to your Blog post or website. Scribd.com is a site that offers users a tool that lets you upload your .PDF document onto their server, then use their widget/player to embed the file into your Blog post or site. The site is FREE and once you've signed up and registered, the process is fast and simple. The benefits of embedding the .PDF file vs linking to it are that visitors and readers don't have to leave your post or site to access the shared PDF document. 5. Place/Paste the HTML embed code on the HTML tab of your Blog Post. The code can also be added to your website using your HTML page editor. 6. Save your post or page and you're done! Here's a sample of a .PDF file I created a couple years ago here on ActiveRain. One last option would be to take a "screen shot" or capture the PDF file as an image (if it all fits on your computer screen) and save it as a .jpg file, then you can add it as a photo or graphic to your Blog post. Unfortunately, even a single page PDF file is hard to display the entire page on a computer monitor or single screen. To capture any computer screen image, use the "Shift+Print Scr" keys on a PC, or the "Shift+Command+4" on a MAC to capture the image. You can always crop out what you don't want in the image using a photo or image editor like picnik.com or Adobe Photoshop. If you'd like a free photo or image editing software similar to Adobe Photoshop, check out Gimp.org. This post goes out to Steve per Bob's request, hopefully it will be helpful to other members and visitors as well. It is helpful, Brad. I've wondered how to do .pdf files. Another something new to try!! Brad, This is great!!! I have often used the last resort option of using a screen shot because I didn't know of any other way to do this, but it does not work well as you said, because you cannot capture the entire document and still be able to read it. Thanks again! Hi Brad..You Keep Giving and Giving us so much How To Stuff.... where else do you find this type of sharing and Support, Brad you Rock, I'm be bookmarking this great yet another how to post..thanks ! I just realized that Scribd.com is not on the PDF "Top 100" List I used as a sample for this post! DOH! Brad, thank you for that information it's amazing what can be done on a blog. As usual, another great post. You are providing info to improve our blogs, without the need for us to search the intranet! I like the "one stop shopping." Scribd rocks! And so do you for this post! Brad, you've sent me this link months ago to Scribd and I immediately saw the benefits. What I like is the ability to scroll thru the document with multiple pages. Thanks for the idea, it's helped with many things including adding instructional pamphlets about how they fly & blowup (sorry iNFLATE) the REMAX Balloon. Brad - I can't say I've ever thought about adding a PDF to my blog, but then again I didn't know it was an option. I'll have to sign up for Scribd right now, Thanks for sharing this great tool! Brad ~ When have you ever not been helpful. Can you like come to Franklin, NC for a few days? Ok, how about ATLANTA? Any date set yet? What a great tool to offer e-books to our clients through our blogs. In the past, I've just been sending them to my website to download. I do have a question though... If they download them through this site, do they need to register to get the pdf? Thanks Brad, I really needed this advice. I'm a newbie and need all the help I can get. Brad, great info! I didn't realize Scribd was free, interesting ideas are popping through my head here... thank you! Brad how do you discover and learn all this stuff. I need to take a vacation so I can spend a week trying all this great stuff. Hey Brad~ I was JUST going to a post on this myself, but of course you beat me to it:) I've been using Scribd alot lately. Did you kow its helpful for adding PDF files to your Facebook Fan Page too?? MWA! Brad, thanks for the infomation. I booked marked this post for future reference. Maybe its time for 100+ Best for 2010. I have felt like hugging you before, but never more than I do right now! I have been wanting to do this without paying for a server service, and now you showed me the way. As always, you are way on top when it comes to helpful gushes of information. I just need to find more time to mess around with everything. See you in Chicago - (Palatine)!! I haven't read the whole thing yet but THANK YOU...I've been trying to work this out for a long time now. Wow....you are just like the duracell bunny...you just keep going...and going...and going! Thanks for all of your great information. I totally enjoyed the Active Rain Univ webinar today. The information you post makes me feel so professional when I'm able to do these things. THANK YOU, THANK YOU. I messed around for two hours with pdfs a week ago, our board makes a monthly nice report that I'd like to include in posts. Google docs had some odd work arounds, none made images clear enough to IN a blog as opposed to attached to a blog. Thanks Brad. I've often wanted to include PDF's in thngs and could only figure out to upload the link onto the Website and create the link. This offers another solution which I want to investigate. I have been curious about this for quite some time now. This is a great tool. Thanks! Brad- thanks alot for this information. You must of been peaking over my shoulder or reading my mind because figuring that out had been on my list for a while! Brad - I don't think too many people post PDF posts on AR so this tutorial is very useful. You almost make it sound as though those of us less techy could do this...think I will give it a try...! Haven't seen this one, thanks for the info. Wow - great idea! And thanks for the list of other ideas, too! Brad, thank you so much, as I have been wanting to add some pdf's to my blogs. I have been doing it old school and I hated it, the screen capture, turn to jpg and add it, but this will be much better. Outstanding information. Can't thank you enough. I still consider myself new and seeing this new information plus a valuable post from the past sure helps. Thanks. the snapshot tool in Adobe allows you to drag the entire document to cut and paste into a JPG file... unfortunatly when you do that you do lose quality in the document. Hey Brad thanks for the Scribd informtion. I'll have to get set up for that so when I have a pdf to post, I'll be prepared in advance. Hello Brad, thanks for the information and it was helpful for everyone. Brad, your "last resort" was the only way I knew how to do this forever! Thanks for all your help. The webinar was great yesterday. Working on my videos today! Brad, thanks again for another great resource. I have bookmarked as well. Brad - thanks for the info and I have bookmarked the post. Another great tool here in AR. OR one could both put the document up on the site as html, AND put a iink to the pdf file if they want to download it. I would rather do this, as I don't like to use sites where the document is on their server instaed of mine. Brad, this is great; I've wanted to do this for awhile and appreciate the tip! Thank you for going over all of this- I was wondering about it! Have a wonderful day! What a great idea Brad! Thanks so much for the post, I'll spread the news to the other members! 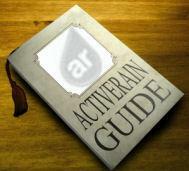 Adden PDF files to my blogs here at ActiveRain is something that I have thought about do-en. A question that I have wonder about with adding PDF files in our blog posts, is Google able to pick up key words from a PDF file? Brad, thank you I was just thinking about how to post a PDF to a blog... but on second thought, I think I'll just include a link to the web site, and let others figure out how to download the pdf! Brad, I love Scribd. Did you know Scribd also gets awesome Google juice. AND you can sell documents. If you're looking for a cheap PDF editor I highly recommend PDFill.com Best $20 I ever spent. I use it all day long. Dale - no SEO on PDF files, but scribd does have great SEO! This looks like it could be a fun tool to use in a future post. As always, you are great about bringing us new tools. This is good stuff Brad. It's bookmarked for future use. Thanks. Was stoping by to see if you had a chance to leave an anewer, I was thinking that the anewer was going to to be no to SEO on a PDF file. Your a mighty up standen guy Brad, Thank you mighty kindly!!! Brad... late to the party as usuall... but this is some great stuff. Thanks for sharing this because this is what the doctor ordered for me. Brad, Slowly, but surely I am learning. So sorry I missed the last training. I had buyers that wanted to see homes after work. Thanks for posting this one! Great information Brad! As someone new entering the Real Estate business I'm sure I will find this to be beneficial very soon. I was attending a webinar earlier this week and this point was briefly touched. Brad - I'll definitely take advantage of this tip -- I've been wondering how/if I use PDFs for quite some time. Many thanks. Brad, as always, another great, helpful post. This is what ACTIVE Rain is all about. Thanks Brad for your info. Since joining Active Rain, I have learned so much. I would never have to leave this site to find info that I needed to further my marketing plans for my business. Can't wait until you update your 100lists. I got some of if them from Rain camp in San Francisco back in Dec.. Loved it! Thank you for sharing your lists, it's almost too much informtion. I'm beginning to realize not only what I don't know, but that I'll never know it all. Your classes are great and an immense help to all of us. I live using Scribd. Haven't done so a great deal but it's easy. This tutorial makes is easy for those who have not tried it. Brad...help me out please...I want to attach a PDF to my post. I got as far as signing up (scribd), and copying the link, but then I do not know where to put it on my post. Now, I tried experimenting and couldnt do it. Brad be specific on where to put the embed (or whatever I copied) on my post exactly. I am going nuts. Hi Brad - It worked! I followed your directions and completed my first PDF post! My goal is to learn a new tip from you and the rest of the AR team, and try a new tip at least once per week. Richie - you want to use the embed code, not the link to place the .pdf file in your blog post like the one shown above. You'll need to use the HTML tab to add the code and place it where you want it to appear in the post. If you get stuck, let me know and I'll make sure to get you some assistance. Is there absolutely anything you do not know? Every day is a learning experience here. Thank you for sharing this. The instructions are easy to follow. Will be looking forward to uploading some statistics I get via pdf to share on my blogs. Thanks so much and enjoyed your sampled pdf/100 free sites. Thanks Brad, your post really help! keep it up...Dave...FAQ/Help is a wealth of info. this so completely helpful to me, i cannot thank you enough. Gloria - I'm glad you found this useful. Thanks. Leilani - thanks for the reblog, I appreciate that. The reblog feature is now broken, hopefully they'll get that fixed soon. Brad - I signed up for scribd a while ago and then never used it. this just reminded me why. Perhaps it was a blond moment. Love it! Thanks, Brad. Craig Daniels sent me over to check out this post. I keep coming across your awesome posts, so I am hereby a subscriber! Have a great week! Brad Andersohn A most helpful blog post reminding us that just because it is a .pdf, it does not have to be the 'red-haired cousin'.